The Original Harlan, made new again. 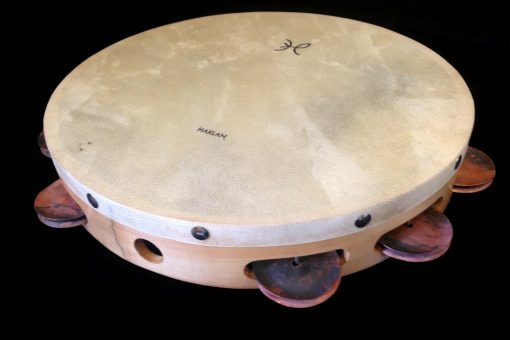 The ultimate in quality crafted Tambourines. 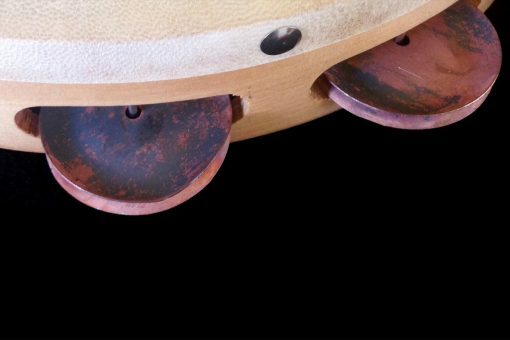 Strong, light hardwood frame, goat skin head, with generously sized tempered Phosphor Bronze jingles for the greater control of tone and volume. We like goat. We’ve always felt it stronger and more sensitive. The jingles are slightly larger than other jingles out there. Gives incredible volume but maintains its sensitivity. We temper our Phosphor Bronze and put a slight crimp in each jingle. The jingles have a funky pinkish/black color. 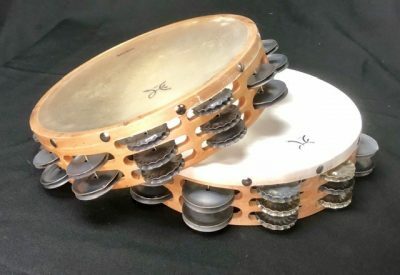 The temper/crimp gives the tambourine a really dry sound and the larger jingle gives it the power while not sacrificing soft, delicate passages. 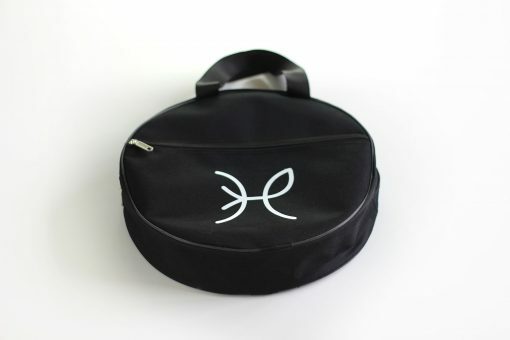 Comes with a custom Harlan Percussion carrying case. 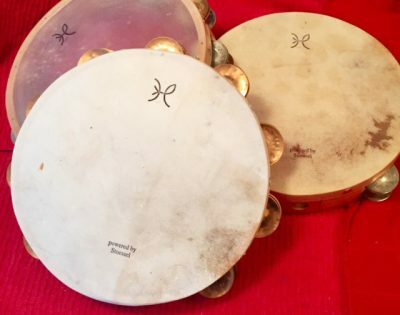 I purchased my first tambourine — a Harlan with phosphor bronze jingles — while studying with Gary Werdesheim at Florida State University in 1976. 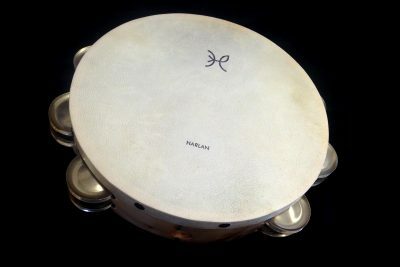 It is still my favorite tambourine that I turn to for all occasions!! In addition to being Professor of Percussion at Illinois State, I am timpanist with the Illinois Symphony. It is exciting that you are once again producing these fabulous instruments and accessories! I can’t wait to see (and hear!!) the new editions!! 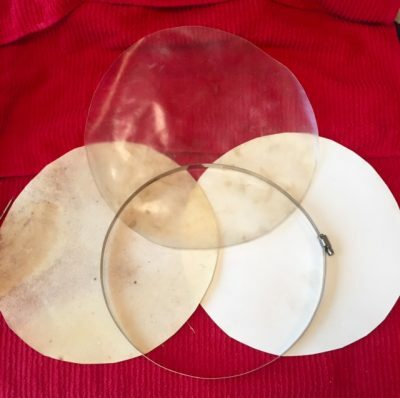 Just wanted to let you know I used your tambourine for a Boston Modern Orchestra Project performance last week. It was Gunther Schuller’s “The Fisherman and His Wife,” and the tambourine worked great. 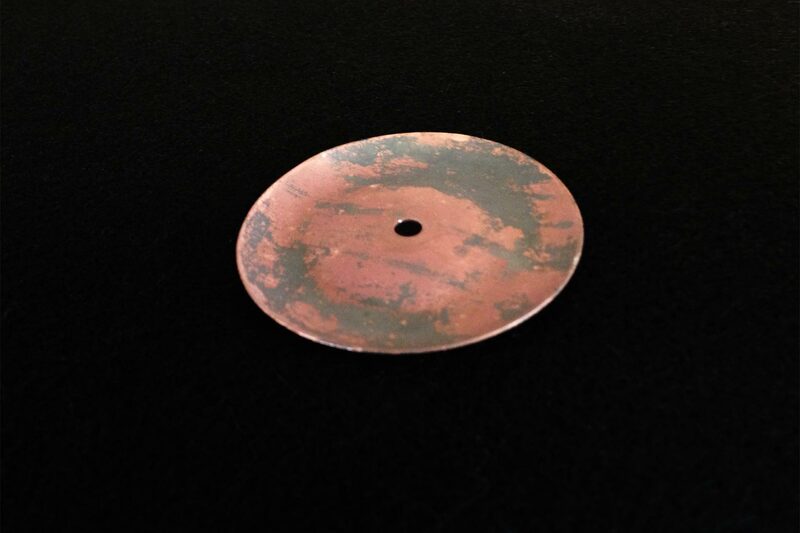 It blended nicely, rolled easily, and did not go “over the top” of the other percussion or the rest of the orchestra. It really has a nice rich sound. Very enjoyable to play. Looking forward to using it again.